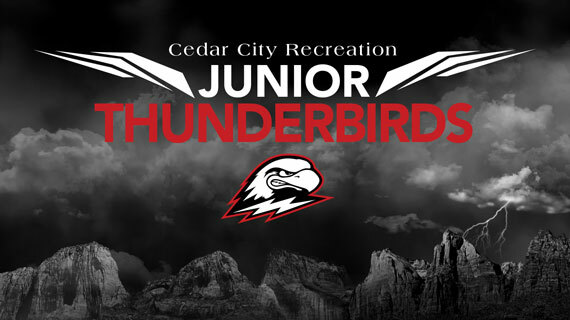 The Southern Utah University Athletics Department has announced a partnership with Cedar City Recreation, and moving forward youth sports teams in Cedar City will be known as Junior Thunderbirds. As part of the partnership the youth leagues will have new, re-branded jerseys with a logo created by the SUU Athletic Department. Junior Thunderbirds will also have the opportunity to interact with SUU coaches and student-athletes, who will appear at their games as “Celebrity Coaches.” They will also receive a certificate signed by their head coach, the Cedar City Recreation Director Bryan Dangerfield and the head coach at SUU for their specific sport. Thor will also be appearing at different events. Junior Thunderbirds will cover the following sports: Flag football, volleyball, basketball, t-ball, machine pitch, baseball and softball. "Jennifer Weaver has done an outstanding job building our City youth sports and recreation programs and we are pleased to partner with Southern Utah University athletics to create the Junior Thunderbird program which will add another dimension of fun and value," said Bryan Dangerfield, Director of Leisure Services and Events. "We enjoy a great relationship with SUU and having our participants benefit from a closer association with the athletes and games is a win for everyone." This three-year partnership was crafted in an effort to bridge the gap between the SUU Athletic Department and the community of Cedar City. It will give coaches and student-athletes the opportunity to get to know several new community members and build a bond with the youth of the area. Jennifer Weaver was a major factor in making this partnership happen. Weaver has been involved in Cedar City recreation for three years and has either been a coach or had children participating in the program for 17 years. She is also the mother of current Thunderbird softball player Javlyn. Weaver said this is one of the most progressive changes she’s seen implemented in the city youth sports programs. Junior Thunderbirds will also be eligible for ticket promotions if they wear jerseys to specific games. You can track Southern Utah Athletics 24/7 by following @SUUThunderbirds on Twitter and Instagram, and by liking the Southern Utah Athletics page on Facebook.